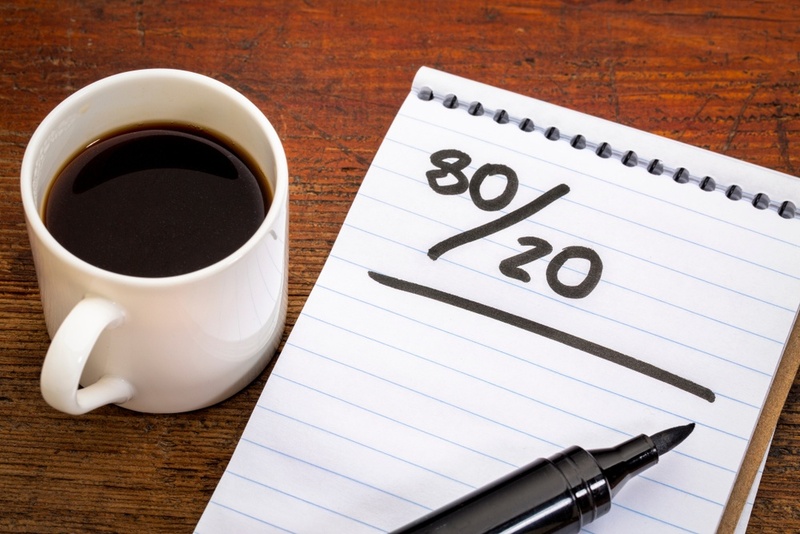 Firstly, let's look at whether the Pareto Principle holds true when looking at customer data. Well, at Blue Sheep we've now run an 80:20 analysis for over 5,000 databases, and in 99% of all cases we found that between 60-80% of the companies' revenue was coming from 15-30% of the total customer base! By pinpointing this, it shows that a huge amount of budget and resource is being thrown at the 70-85% of the database that are only delivering potentially 20% of your revenue! What would happen to profitability therefore if you diverted all this resource to the top 15-30%? What would it be like if you could pinpoint the similarities of that 15-30%, create a segment or profile of them, and then find more of them? So what about the other 70-85% of your customers? Should you ignore them? No professional marketer would ever do that, and it would be bad business. However, what you can do is make sure that these low spenders don’t drain valuable budget and resource that should be focused on the more profitable 20%. For example, your 80:20 analysis could highlight a segment of low-spending tyre kickers (you know the ones that need 30 meetings and a huge discount to buy anything from you). This segment may show that there is a commonality in their geography, how they're acquired, the size of the organisation, etc. Once you have defined the segment, or found the commonalities, you are then empowered to make a trustworthy decision to refocus spend and resource away from acquiring more of them, and refocus it on the high spenders (we call these your "treasures"). What does Money Mapping do? The Money Mapping insights tool from Blue Sheep allows an organisation to identify how they can generate more sales and more profits from fewer customers, enabling a direct focus on the most valuable clients. For too long the focus has been on using technology to grab a market share that simply maximises the number of paying customers. With Money Mapping, we can identify where the most valuable 20% of customers lie; freeing you from devoting too much attention to the 80% that are high maintenance, but low value. Money Mapping enables the focus to be on customers that spend more, stay longer and recommend your business to friends and family – the aim being to build long-lasting relationships with these most valuable customers. Not only are these customers more lucrative, but also they tend to be less demanding and more loyal. In short, these customers should form the bedrock of any future direct marketing campaigns. A Blue Sheep Money Map shows you how your revenue is split amongst your customers and identifies where to find more of your best ones - free of charge! So contact us today for your free Money Map!